If you have been arrested for a misdemeanor or felony drug crime in Massachusetts, your first call must be to an experienced criminal defense lawyer. 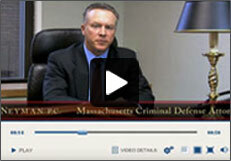 Contact Boston drug crime attorney Stephen Neyman at 617-263-6800 immediately or click here to send an email. This is the single most important phone call you will make. The attorney you hire will have a direct effect on how much exposure you will have to jail, the amount of bail you will have to pay, and how well your rights will be protected throughout the entire process. You need an aggressive lawyer who will start working immediately to represent you. When you call the law office of Criminal Drug Lawyer Stephen Neyman, the firm can immediately begin acting on your behalf to eliminate or minimize your time in jail and protect your Constitutional Rights. If you have been arrested for a drug crime, contact Boston drug crime lawyer Stephen Neyman at 617-263-6800 immediately or click here to send an email. Your life and your future depend on it. Massachusetts aggressively prosecutes and punishes drug offenders, using all possible state and federal statutes. No matter what drug crime you have been accused of, the courts and the police must respect your Constitutional Rights. We examine every step of your arrest experience to find any possible weakness in how your arrest was handled. If there is any question of the legality of the search and seizure, if evidence was illegally gathered, or if there was no probable cause for the search to take place, Stephen Neyman can and will use this information to vigorously defend your rights and fight for your freedom. Stephen Neyman is an experienced drug crimes attorney who has successfully represented Massachusetts clients and clients throughout the country for more than twenty years. Before he opened his practice, he was a Deputy District Attorney in Los Angeles. Prior to that, he practiced criminal defense in the San Francisco area. He knows how criminal defense systems work from both sides of the courtroom. Time is NOT on your side. 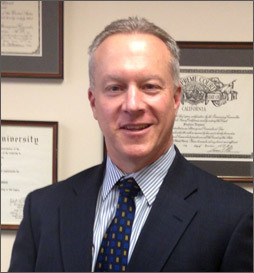 Contact Boston drug crime attorney Stephen Neyman as soon as possible. 617-263-6800 or click here to send an email. The Law Offices of Stephen Neyman handles cases throughout Massachusetts including but not limited to Essex County, Middlesex County, Norfolk County and Plymouth County. The firm also services all of towns and cities in Massachusetts including Brockton, Haverhill, Lynn, Lawrence, Lowell, Quincy and Salem. Copyright © 2018, The Law Offices of Stephen Neyman, P.C.